Victoria’s mayor says the city has no intention of getting rid of the Sir John A. Macdonald statue that was recently removed from the steps of city hall, after the Ontario government wrote about acquiring it. Victoria's mayor says the city has no intention of getting rid of the Sir John A. Macdonald statue that was recently removed from the steps of city hall, after the Ontario government wrote asking about acquiring it. 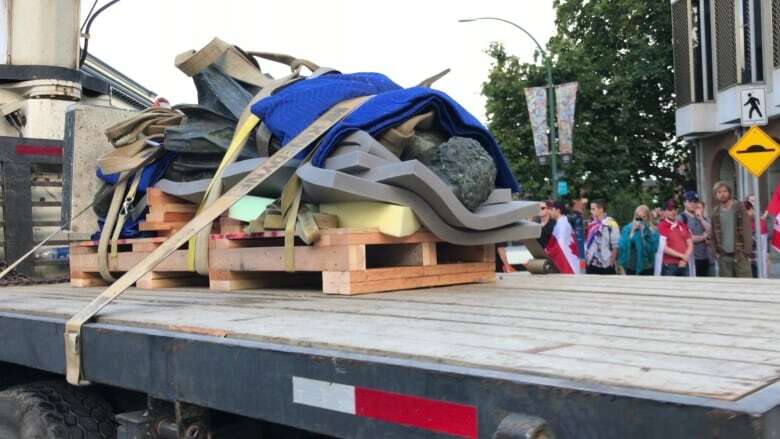 The statue of Canada's first prime minister was taken down on the weekend after city council voted in favour of the removal, as part of reconciliation efforts with local Indigenous communities. 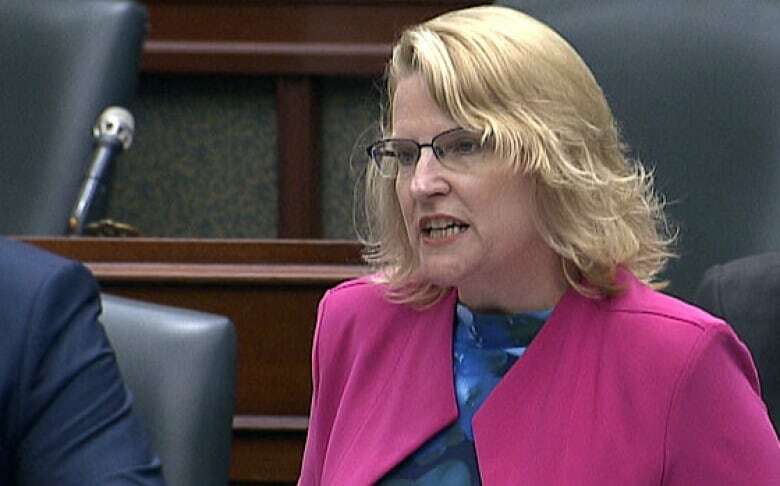 Mayor Lisa Helps said Macdonald was a polarizing figure for First Nations peoples because of his role in the establishment of residential schools. On Monday, Ontario Tourism Minister Sylvia Jones said her government wrote the mayor saying the province would be happy to give the statue a new home. "People are complicated, but there is no doubt that 125 years ago after his death, our first prime minister stands as an important Canadian within the creation of our country," Jones said in the Ontario Legislature. Helps said she wrote back to Jones, thanking her for the letter, but saying the city plans to keep the statue. "It was a gift to the city. We are storing it carefully and in the meantime, we will have a continued dialogue with the nation and the community as to the best place, way and context to place the statue that balances commemoration with reconciliation." Reaction to the removed statue has been mixed. Close to 150 people — both for and against the move — gathered at city hall on Saturday when the statue was coming down, Helps said. She said the larger community wasn't consulted on the removal of the statue because that conversation would have been "very narrow" and yielded "not very useful dialogue." "If we had done engagement with the larger community, the question would have been, 'Do we keep the statue or do we remove the statue?' and that's not the question we need to ask as a community. The question we need to ask as a community is, 'What does reconciliation look like in Victoria?'" Helps said she anticipated the national conversation provoked by the statue's removal. "I expected the controversy. I expect that there'll be more controversies as other cities, and provinces and the federal government take these kind of actions in an era of reconciliation." The mayor said reconciliation is a challenging process and has been challenging for her to deal with personally. "I would say that I would feel upset too, and this whole process of reconciliation is very upsetting, it's very unsettling, it's very hard." She said now that the statue has been removed, there's room to have a more inclusive conversation with the community about the "appropriate way to commemorate and reconcile in various public places." A plaque placed at the statue's former home, explaining the monument's removal, has since been vandalized.